To celebrate our 20th anniversary, CommonLook is making our PDF Validator tool 100% free to download for everyone without strings or restrictions. 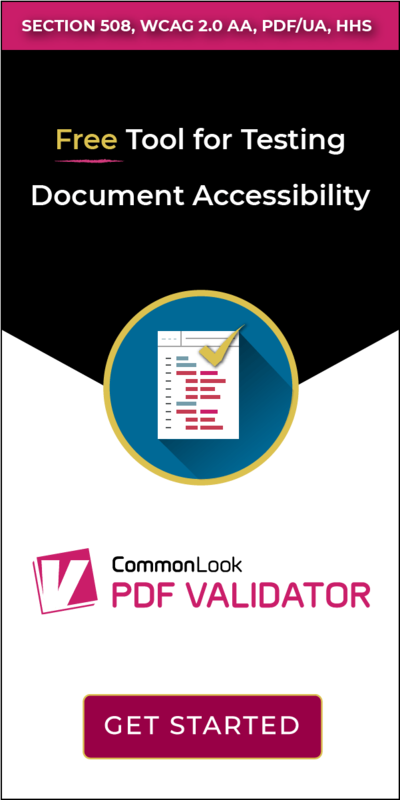 PDF Validator is the most complete tool for testing and verification of PDF documents to WCAG 2.0, Section 508, HHS and/or PDF/UA standards. CommonLook has been actively involved in the development and evolution of many of these standards over the years and our tools are designed to ensure that PDF documents can be created, verified, remediated and tested for accessibility compliance. 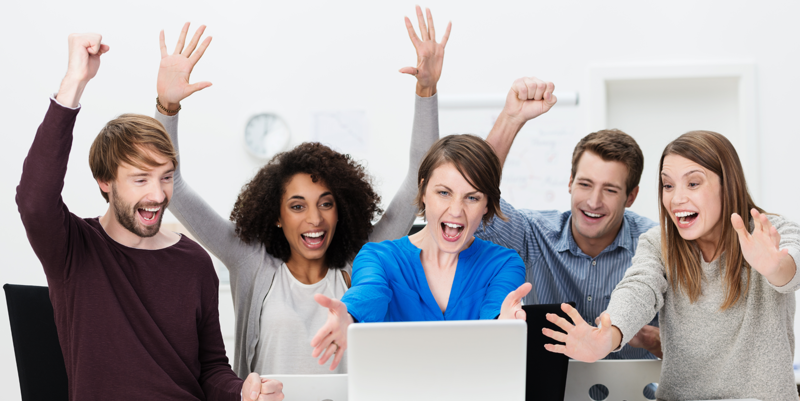 CommonLook PDF Validator is the first step in the process, and we want this powerful tool in the hands of everyone would benefit from the powerful reporting technology available in CommonLook PDF Validator. Unlike other PDF verification products, CommonLook PDF Validator provides users with a certification report for each tested document. Communications and compliance specialists can rest assured that their PDFs are compliant with accessibility standards. With other verification products, documents can sometimes pass the tests, but still not be accessible and compliant. 2019 promises to be a groundbreaking year as CommonLook continues to lead the industry in PDF document accessibility remediation tools and services. Stay up to date on tips, tricks and news by subscribing to our weekly newsletter. We would like to thank our customers for their loyal business over the last 20 years and we look forward to a more accessible and inclusive future for everyone. IMPORTANT: Before installing the CommonLookPDF Validator, please ensure that the workstation meets the following minimal requirements. Adobe Acrobat 6.0, 7.0, 8.0, 9.0, 10.0 (Acrobat X) 11.0 (Acrobat XI), or DC – Standard or Professional. Please be sure to follow the installation instructions carefully. In addition, we strongly suggest you begin using CommonLook Validator with the instructions in the User’s Guide! PDF Validator will automatically download to your default downloads folder after you submit the form on the right. Please read the instructions before installing.